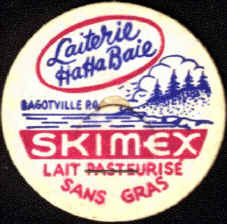 It began in 1919 as a small cheese factory operated by Mr. Vulfrand Tremblay. 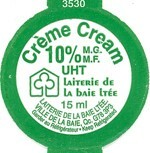 In 1939, Mr. Edmond Duperré, Mr. Tremblay,s son in law, started in the business and by 1945, he acquired the operation. 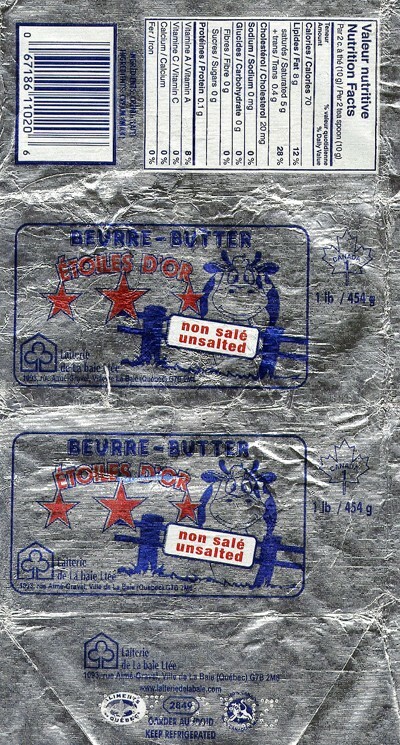 In 1950, the biggest production was that butter labelled "Étoile D'Or" and some cheese. 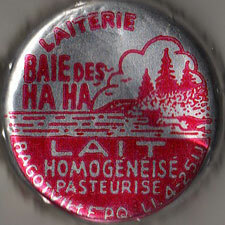 In 1958, he acquired "Ha! Ha! 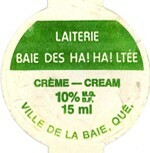 Baie Dairy". 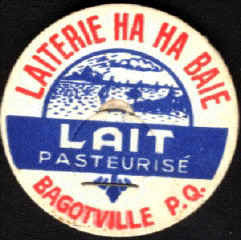 Two years later (1960), he acquired the small "Bagotville Dairy" (see text at "Bagotville Dairy". Due to a total loss by fire of the premises on St-Anicet Blvd, a new building was erected at 145, Gravel Street in Bagotville. 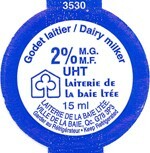 Three years later, "Riverin Dairy" was purchased and by 1966 a new company was formed by Mr. Duperré and sons. 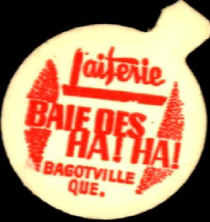 In 1983, the name was changed to "La Laiterie De La Baie Ltée". 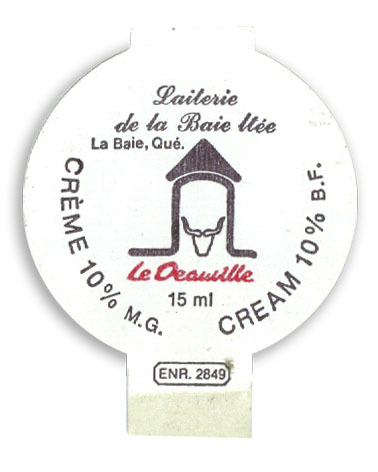 Today Mr. Duperré's sons, Maurice, Julien, Robert and Normand, operate the business. 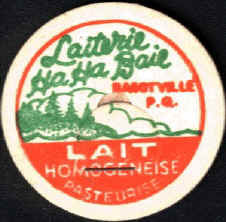 In 1986, it associated itself with the same group that "Guaranteed Pure Milk Co" did, called "Group Lait", enabling them to form a stronger unit in the provine. 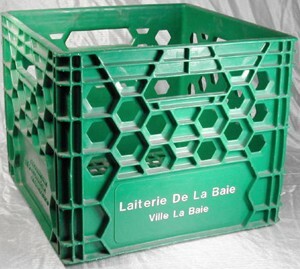 The dairy has a Web site; you can go to visit at : "La Baie Dairy"